It’s not uncommon that when we finish a book, we feel something lacking. Sometimes it’s because it starts strong and wears out at the end (like most bestsellers); sometimes because it facilitates thoughts beyond the scope (philosophy or mathematics); other times because it’s inspiring enough to provoke thought, but not practical enough to provoke action (positive psychology). Scott Berkun’s The Dance of the Possible goes farther and beyond. It’s one of the most satisfying, convincing, and actionable initiators on creativity. Many bestsellers are actually best-fillers, inflating one chapter (or less) worth of materials to a dozen-chapter balloon, which eventually shrinks to the bare and bald. Scott’s book is bestseller-worthy with no compromises. With his characteristic fluency and just-enough humor, Scott’s book is dense with insights, to-the-point with examples, and is intentionally kept concise for the most impatient. There’s no reason you can’t or shouldn’t read it. Over the years I’ve also, just like the author, read quite some books on the topic of creativity. Blended with my own experiences and lessons, many of the books’ major points are resonant and are often finer and summarized better. Only solid research leads to sound reasoning, which is evident in the book. Misconceptions, myths, and blindspots about creativity are all well addressed, barely leaving any space for further doubt. The author did a great job in anticipating and answering your questions along the way. Major concerns are usually addressed on-location, in a logical, practical manner. You end up connecting all the fuzzy dots in your own experiences and reasoning about the topic, and, along with the author’s, shape a far better understanding and point of view. It’s not magical. It’s just incredibly intelligent. The understanding, the steps, and the encouragement are all right in the book. You can easily see yourself doing all the things suggested, with most of your skeptical or anxious questions about taking action answered. 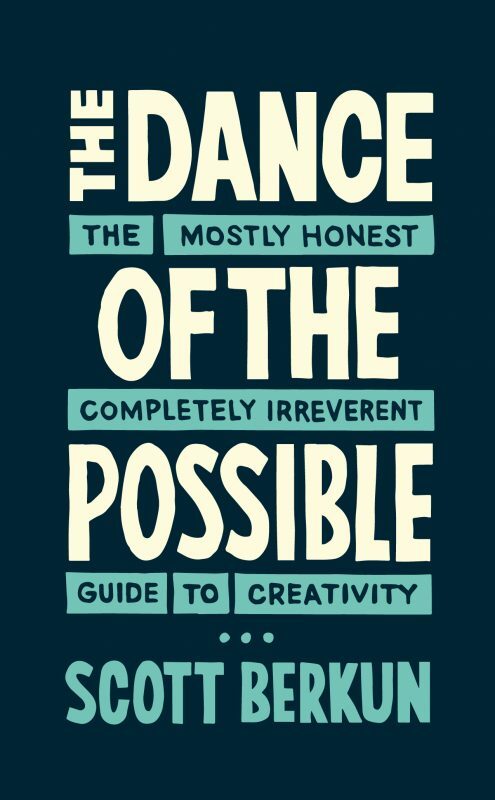 This should be your first book on creativity, and hopefully the last (because it’s just so action-provoking). Eventually, there’s no magic at all when it comes to creativity. It’s always in the details. And attending to the details of the mind and the action requires a higher calling, established by intelligence, curated by will, and implemented by habitual commitment. Scott’s book guides you to that calling. And the rest is, well, not easy, but finally in sight, probable, and most importantly, approachable. Previous Post UI Design: Tabs or Submenu?